Recent Press Release: The Market Lady, Lane (Baldwin) McConnell, will visit the Mtn. Grove Farmers Market in Mtn. Grove, Mo., on Saturday, June 4. 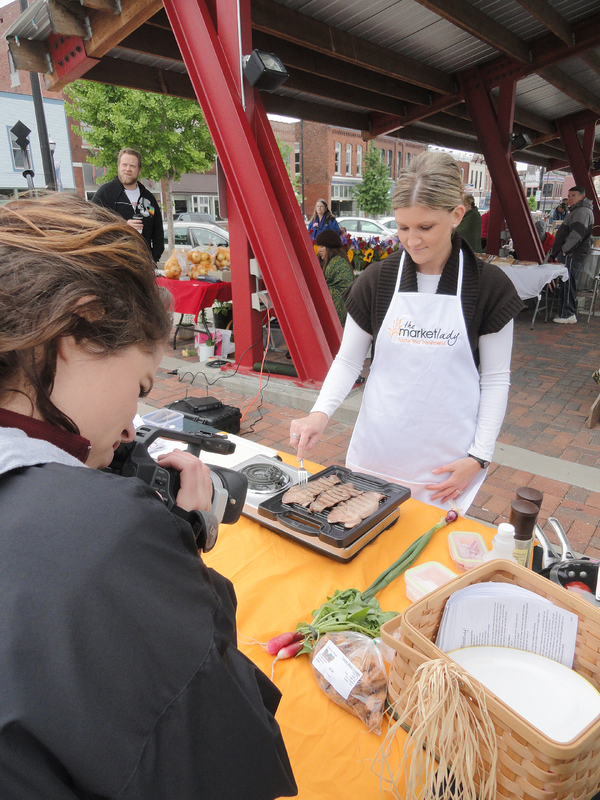 The Market Lady and video crew will begin at 8:30 a.m., with two cooking demonstrations incorporating products from the market and will be interviewing producers and consumers for various other segments. One recipe The Market Lady will be preparing at the market is Pound Cake with Fresh Strawberry Sauce. Below find the recipe for printing in your publication. Be sure and come out the Mtn. Grove Farmers Market on June 4 to meet The Market Lady and join the market event on the square in Mtn. Grove. Put butter, granulated sugar and vanilla in the bowl of an electric mixer and mix until batter is fluffy, about 5 minutes. Add eggs, one at a time, beating until combined after each addition. Reduce speed to low; mix in flour mixture until just combined. Spoon batter into prepared pan, and smooth the top with a spatula. Bake, rotating pan halfway through, until cake is golden and a cake tester inserted into center comes out clean, 50 to 55 minutes. Let cool on a wire rack 10 to 15 minutes. Turn out onto rack, and let cool completely. Slice and drizzle with fresh berry sauce and a spoonful of whipped cream. Cook over medium-high heat until reduced and thickened.